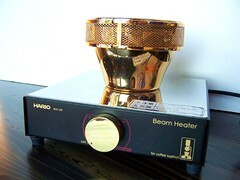 A productive meeting with Hario has given us the opportunity to offer the Hario Beam Heater to a much wider audience. We would like to get a list of those who are seriously interested so we can determine our initial order. 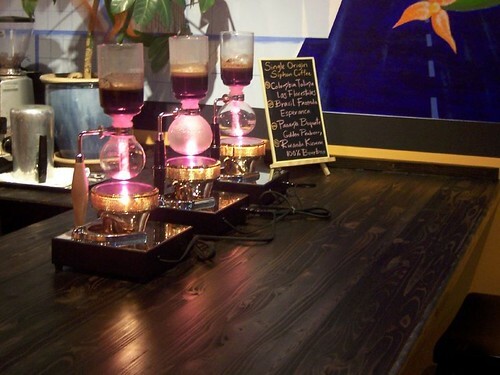 If you are interested, Please email us at caffedbolla AT gmail DOT com. The Beam Heater is 350 Watt, 100 V, 50/60 Hz. It is not required, but we recommend that you purchase a US/Japan Step Down Transformer to extend the life of the bulb. We have used our Beam Heater with the transformer daily since early 2008, and haven’t had to replace a single bulb yet. Right now total cost, including shipping to anywhere in the US would be $465, and a box of three would be $1350.00. Costs will lower if the exchange rate improves. If we have substantial interest we can negotiate an even better rate and save on shipping costs as well. All savings will be passed on to you, our wonderful coffee customers. Final Pricing will be confirmed and all interested will be kept up to date.